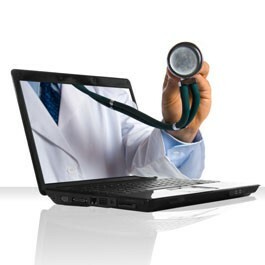 Intermountain Healthcare is moving rapidly toward the true potential of TeleHealth to improve care and reduce costs. The comprehensive TeleHealth Services strategy is to increase access and improve care along multiple clinical services: from stroke to critical care, from 10-minute urgent care visits to complex infectious disease consultations. In this special live web seminar, hear from experts at Intermountain as they describe their strategy and working plan to deliver on TeleHealth’s promise of patient and provider connection. Discover how they are going beyond the technology to understand the workflows associated along clinical disciplines, and how telehealth can deliver high-level clinical expertise into new areas with speed and efficiency. Understand the overall objective of Intermountain’s TeleHealth program: Extend access., Strengthen teamwork. Improve care. Learn how Intermountain is using telehealth to bring behavioral health crisis care support to a network of community emergency departments, with an average response time of 20 minutes. Hear how Intermountain’ s popular Connect Care® urgent care visits bring a face-to-face encounter with a provider to a smartphone, tablet, or computer for $49. Understand how Intermountain connected infectious disease specialists throughout the system to improve diagnosis of severe infections and lead antibiotic stewardship. Hear how Intermountain is cutting the time it takes to get a stroke patient from the door to clot-breaking medication through TeleHealth. Whether it's through clinical programs or the way we can improve the treatment of certain chronic diseases, all three parts of Intermountain contribute in essential ways to the sharing of best medical practices and raising the standards of clinical excellence. In a vertically integrated organization like Intermountain, costs aren't just reduced through economies of scale and efficient management. The really significant cost reductions are achieved by improving the total process of medical care. By identifying and implementing best medical practices—what works best—Intermountain not only provides quality healthcare, it often achieves lasting improvement in cost structures. Healthcare leaders throughout the world call on Intermountain experts for technical support and education on clinical research and process management.